Step Into A Vibrant Metropolis. Nova City Symbolises The Beginning Of A New Life, Offering A Brand New Destination And A New Lifestyle Experience For Cairns. Nova City Will Transform Cairns Into A Modern Metropolis. With Its Iconic Façade, Vibrant Public Spaces, Dynamic Business Hub And Stunning Residences, Nova City Reimagines What A Tropical Lifestyle Can Be. over 5 million domestic and international visitors in 2016.
eat street, local enterprises and international retail brands. Nova City offers dynamic city living and a vibrant urban lifestyle in the heart of the CBD, close to schools, universities, markets, parklands, and a popular waterfront with stunning views. 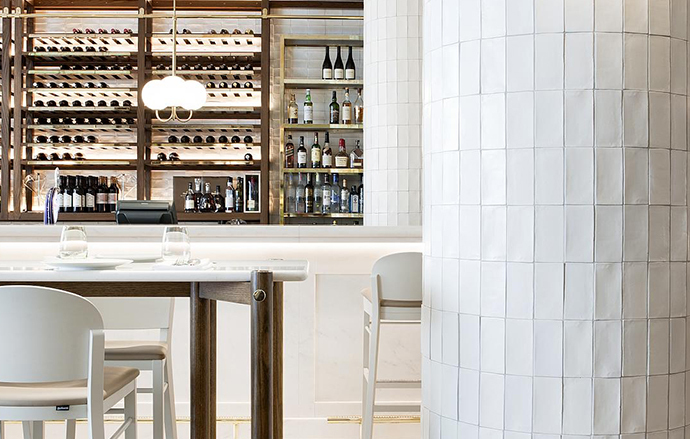 timber and ceramic accented by the soft golden glow of metallic cladding. Nova Symbolises The Beginning Of A New Life, Offering A Brand New Destination And Cosmopolitan Lifestyle Experience For Cairns. Breathtaking views across the city, tropical mountains and the sea. breathtaking views across the city, the new plaza, tropical mountains and the sea. The Tallest Residences in Cairns - Nova City sets a new benchmark for apartment living in Cairns. These contemporary residences combine visionary architecture and elegant interiors, a personal haven – a space to revitalise and rejuvenate in the heart of the city. First of seven towers, Nova Light is an elegant 17-storey tower dressed in folded glass creating a neutral palette with subtle accents in aluminium, stone, timber and ceramic that evoke the surrounding rainforests and shimmering ocean. and thearette where residents can relax and entertain in style. of luxurious residential and commercial property projects. creating a visionary new precinct that will redefine the city of Cairns. A subsidiary of Aspial Corporation Limited and incorporated in Singapore, World Class Global is a dynamic and innovative developer that engages primarily in the business of property development and investment, and has an overseas presence in Australia and Malaysia. World Class Global firmly believes in developing quality real estate projects, which combine astutely selected locations, impressive architecture and skillful space planning for the benefit of its customers and shareholders. Its visionary approach to each development is underpinned by a strongly upheld sense of creativity coupled with a commitment to the finest quality. Since 1999, Aspial Corporation Limited, through its subsidiary World Class Land has successfully completed and delivered over 3,000 homes and commercial units in Singapore. The company’s remarkable achievement includes City Gate, an iconic mixed used masterpiece located at the fringe of the city’s Central Business District. Drawing on this experience, World Class Global has successfully launched Australia 108, a landmark project that was, at the point of launch, the tallest residential building in Melbourne and the southern hemisphere. This was followed by Avant, a residential tower located in the heart of Melbourne’s CBD. With a dedicated and experienced management team that possesses the drive to scale new heights, World Class Global stands apart in its steadfast and continual pursuit of excellence. The beautiful Nova Light Interiors have been designed by award-winning Hecker Guthrie studio, a world renowned studio based in Melbourne. Hecker Guthrie is known for creating a unique identity for each project, and partnering with innovative craftspeople to deliver exceptional spaces. The studio works both locally and abroad, drawing on a shared expertise that encompasses interiors, building, gardens and the crafting of individual objects of rare beauty. When setting out to design the interiors of Nova Light, Hecker Guthrie explored the ideas of both how the apartments should look, and how they will make residents feel. In each room, the studio has selected a superb range of polished materials that are perfectly suited to the tropical climate. The result is a luxurious, fresh and contemporary aesthetic with an effortless sense of style. Since starting CA Architects in 1993, Carlo Amerio has forged the practice into an established, award winning architectural design studio with experience in a wide range of building projects. CA Architects has partnered with Brisbane based Cox Architecture to deliver the Nova City’s vision. 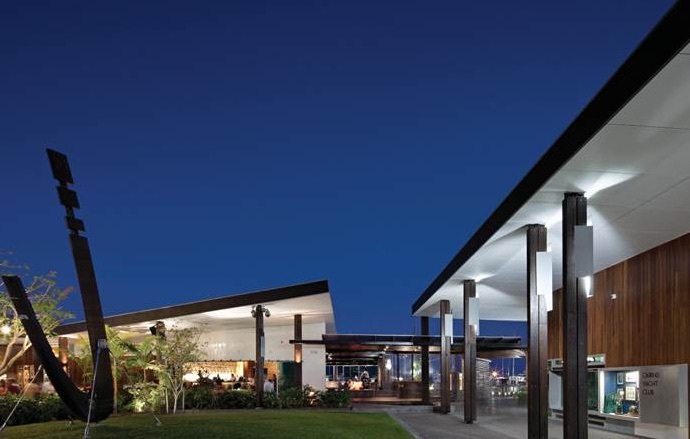 The CA Architects + COX Architecture team is well-established with a 15 year history of collaborative synergy and of outstanding Cairns architecture. Their reputation rests on a continued commitment to quality and innovation. CA Architects + COX Architecture both work throughout Australia and internationally, in particular Asia. 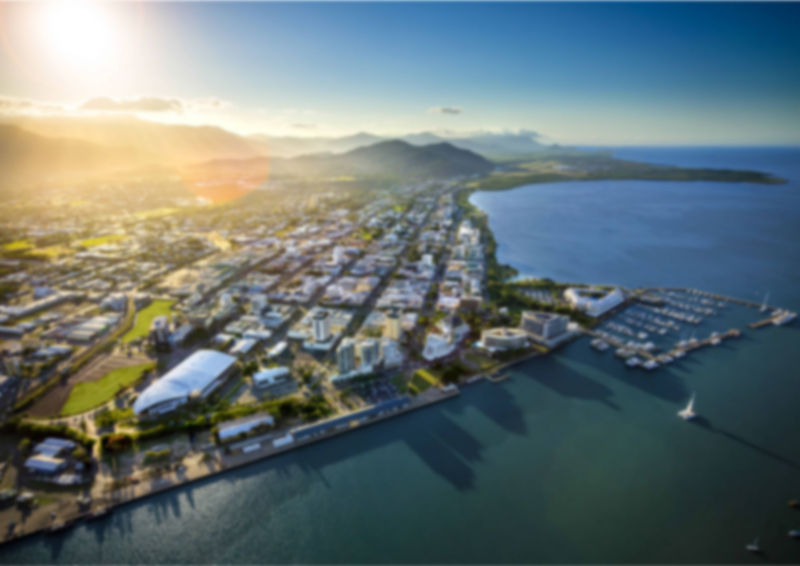 They are a long-term partnership that has proven its joint capacity to design successful high-profile public projects in Cairns. These include the Cairns Foreshore Redevelopment, Cairns Convention Centre, Marina Point and Cairns State Government Offices, Australia’s first tropical “6 Star” Greenstar-rated building. Notable projects in Asia include COX Architecture’s Singapore Management University and Singapore Helix Bridge at Marina Bay. Cairns Airport is the largest international airport north of Australia.  One of Australia’s busiest airport for international passengers with direct flights from Tokyo, Osaka, Hong Kong, Singapore, Bali, Manila, Auckland and Port Moresby. Over 5 million passengers pass through Cairns each year. Within this new world city, Nova City is set to become a destination precinct – a highly coveted locale that is home to both future-focused businesses and residents.